Medicare International offers innovative and flexible international medical insurance plans to expatriates in many locations around the world from its base in the United Kingdom. 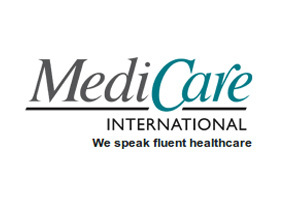 With over 25 years experience in the international health insurance industry, Medicare International’s operations are primarily focused on comprehensive cover for individuals and groups of expatriates. Medicare’s consultants are familiar with the health needs and requirements of the modern expatriate and many of their plans can be amended to suit the needs of a particular individual or group of individuals working for the same company. As part of the SBJ Insurance and Brokering Group, Medicare’s advisors and consultants have access to a wealth of material and experience which is reflected in the quality of their products and plans. Medicare operates a 24 hour emergency response line which members based in Thailand can call for advice and assistance. This number is +44 (0) 1243 621 130. I relocated from the UK to Thailand two years ago and having never had a private medical insurance policy before, I had no idea where to start looking or what to look for! Luckily, Thailand health insurance sent me a breakdown of the providers and their plans that were relevant to me and one report that stood out was Medicare. I am pleased to say that Medicare’s staff helped me choose a plan and everything has gone really smoothly ever since. As an expat, they are a great provider to work with. My wife and I retired to Thailand over five years ago now. While I was employed, my company took out a group plan with Medicare which my wife and I were part of, when I finished working Medicare informed us that they could continue to provide coverage to us. We didn’t notice any difference at all, all the administration details were taken off pretty quickly and there was no pause or break in coverage. We can now relax and enjoy living in our new home confident that we are receiving comprehensive coverage from Medicare. Please complete the details section located at the top of this page to apply for specific information on Medicare or on Thailand health insurance in general. Should you wish to contact our support and research staff for direct assistance you can do so here.